Adventure between fields, forests and lakes, meeting people and enjoying varied leisure activities: All this and much more awaits guests at “Hollager Mühle”. 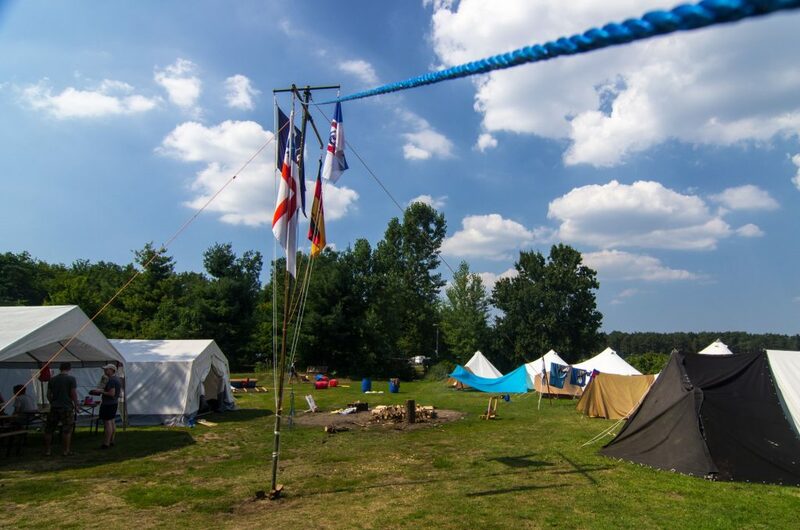 The youth hostel with camping is to be found in Hollage which is a district of Wallenhorst. 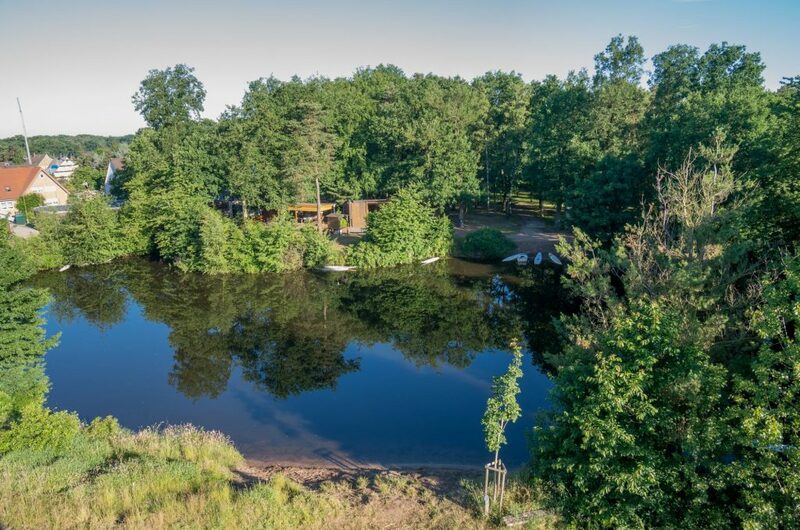 It is located on a 2.7 acre property surrounded by a small forest. The center of the complex is the tower of a 170-year-old water mill including mill pond and mill creek that meanders through the grounds. 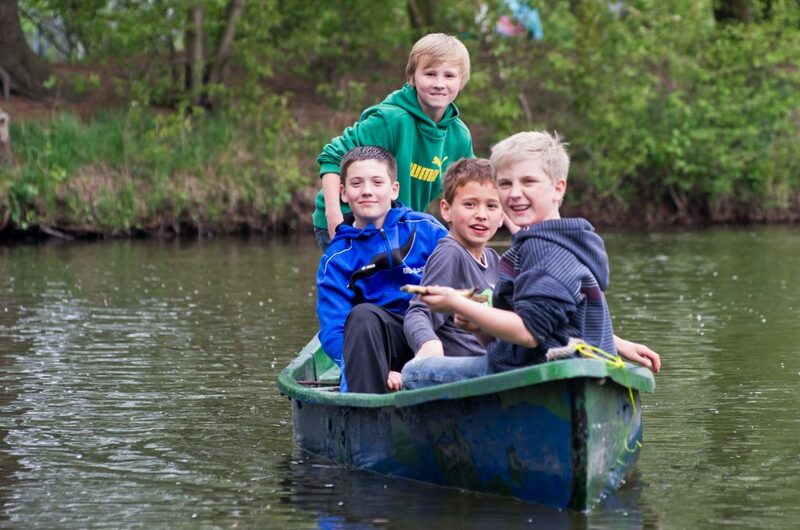 Most of the guests in “Hollager Mühle” – that is conducted by the community of Wallenhorst – are children and youth groups. But of course, adult individuals are also welcome. In addition, the “Hollager Mühle” can be booked as a location for private events. It really offers enough space and possibilities for all these purposes. The mill tower offers 30 accommodations. The campground is designed for about 200 people. Additionally, a log house with a meeting room, a dormitory and two double rooms is available. A modern interior design optimizes the range. Boredom never is a problem for the guests of the “Hollager Mühle”. From here, many sights, attractions and leisure facilities lie within easy reach: a ropes course, mini-golf, swimming pools, the unique cultural landscape of the “Piesberg”, biking and hiking trails, the site of the „Battle of Varus in the Osnabrück country“, the “Tuchmachermuseum Bramsche” (a museum presenting the old art of textile making) and the neighboring city Osnabrück with ice sports center, theater, cinema, zoo, planetarium, cathedral, Old Town and numerous museums. Since early 2011, the “Hollager Mühle” is also concerned with an important issue for the future since you can visit a varied exhibition about renewable energy. It consists of several experiments to join in and try that are interesting for children as well as for adults. .
Have you become curious? We would like to inform you! Do not hesitate to contact us. We are pleased to have you soon welcome at “Hollager Mühle”!